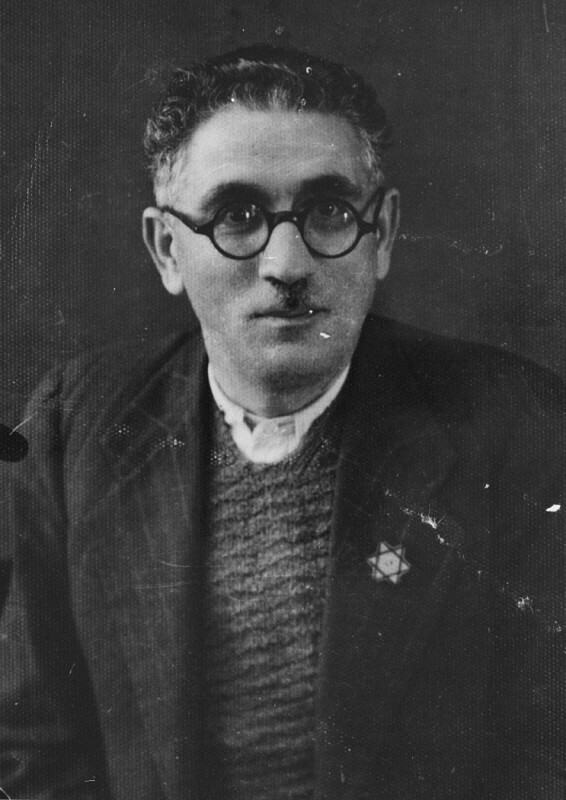 Joseph Levi, a pharmacist and the head of the Jewish community of Komotine, wearing the compulsory Jewish badge. Bulgarian occupation authorities later deported him to the Treblinka killing center. Komotine, Greece, 1942.